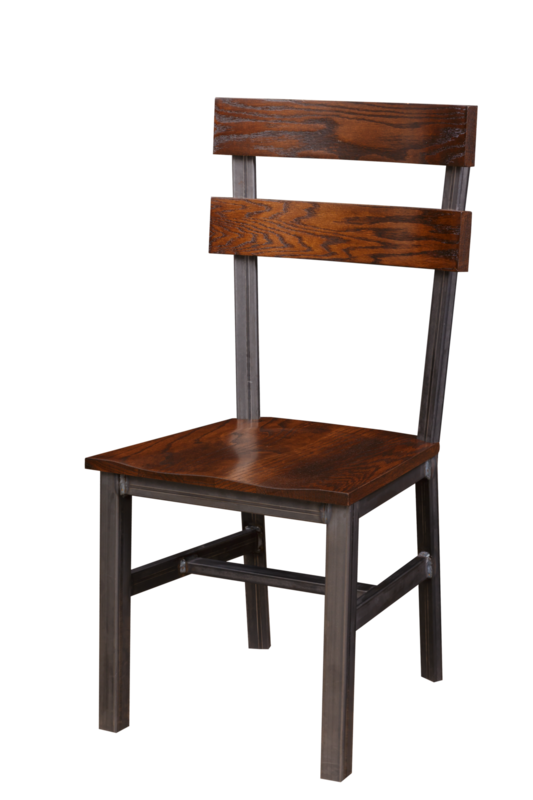 This is the classic dining room chair, with an equal focus on comfort and style. The bevelled seat and curved backrests offer consistent and relaxing support while the metal base adds stability and uniqueness to the chair. The Dartmouth can be paired with any of our dining collections, live edge tables, or by themselves. 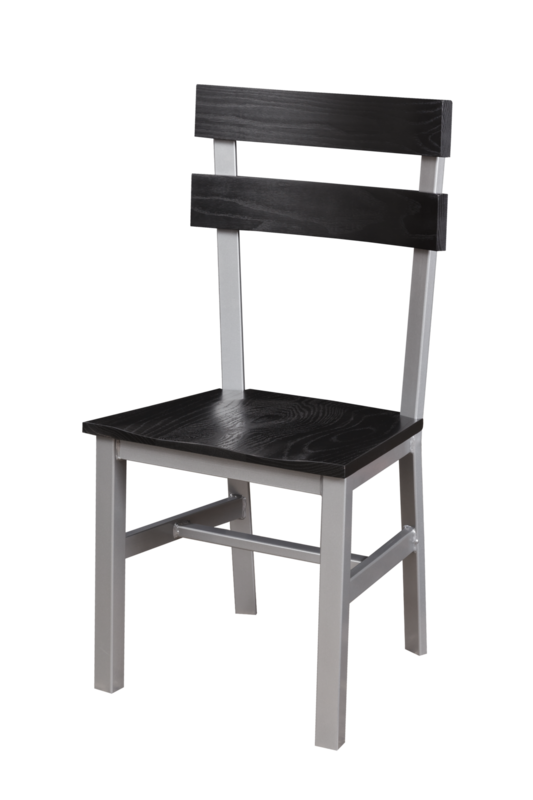 Silver powder-coated metal finish, oak wood with a black painted finish to create a sharp contrast. 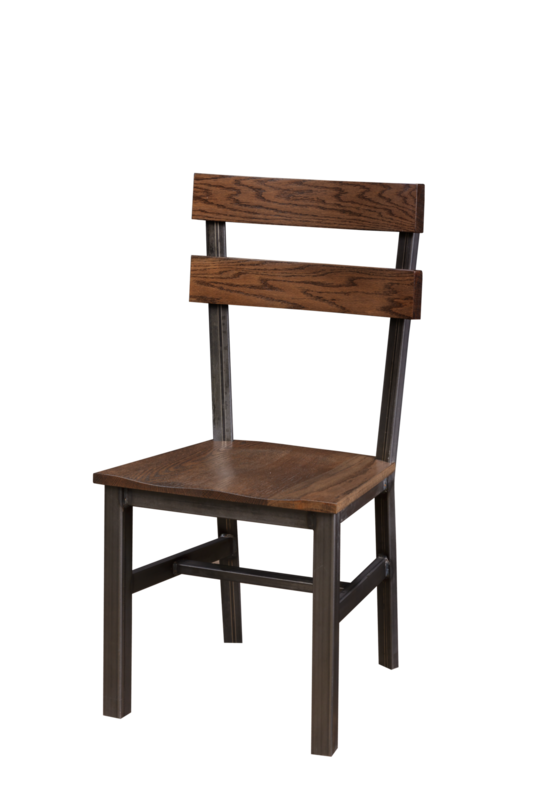 Natural steel with a clear finish, Oak wood with a warm harvest stain. Natural Steel with a clear finish, oak wood with an ebony stain.